Once in a life time we all have hated our job to the core, right? Reasons might be really different but the feeling is the same. And similarly these 10 characters hate their jobs for various reasons. Take a look as you may relate to one of these!!! 1. Dale Arbus from ‘Horrible Bosses’. Well the title itself is enough to convey the situations what Dale must have gone through. He works as a dental assistant and is harassed by an over demanding and manipulative boss. Poor Dale! 2. Elizabeth Halsey from ‘Bad Teacher’. Teaching is the last thing she should have done because the worst part is she even hates the good students. She is smart but her focus is more towards marrying a rich guy and give up working. 3. 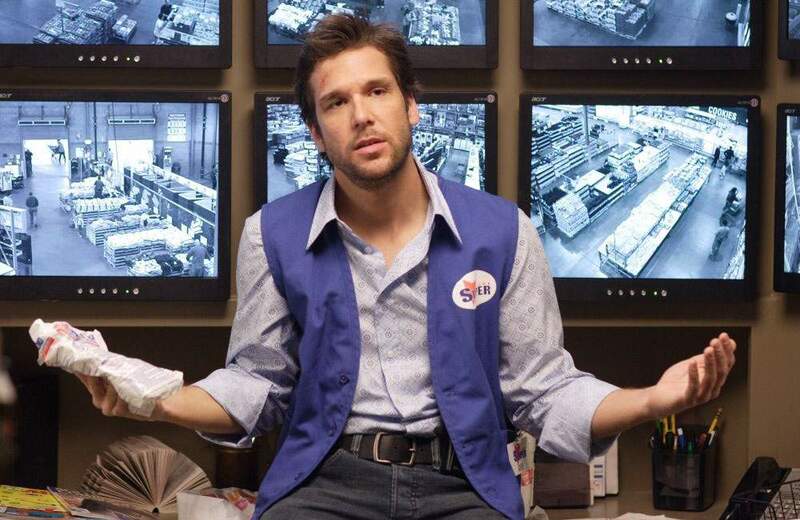 Zack from ‘Employee Of The Month’. Well he works at a big box retail store which itself sounds too boring. This lazy man has no real ambition to move forward from his position in the company unless attractive Amy (Jessica Simpson) arrives. 4. Joanna from ‘Office Space’. Joanna is a waitress at a burger joint, Chochkies and she is judged by her boss for not wearing enough badges as she hates it on her uniform. 5. 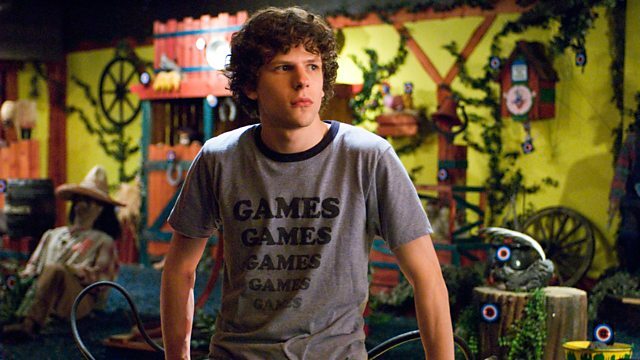 James Brennan from ‘Adventureland’. He works at an local amusement park which is a very entertaining place but not for the employees. He is a college graduate is made to run the boring games and made to clean up after the events. 6. Andy Sachs from ‘The Devil Wears Prada’. It was her dream to work in journalism but never thought things would get worse. 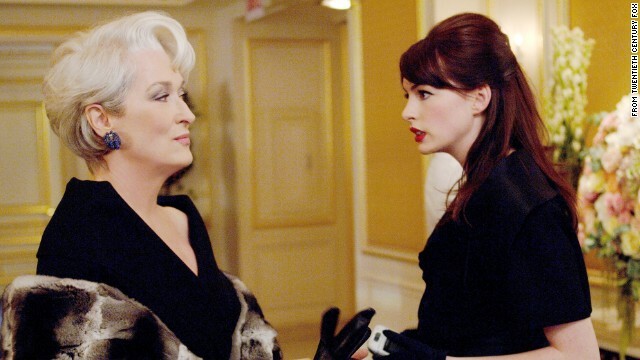 She meets the most difficult boss Miranda Priestly editor – in – chief of Runway Magazine. Andy tries to cope up with her bizarre and humiliating treatment. 7. Willie T. Stokes from ‘Bad Santa’. Dressing up as a mall Santa is another boring thing to do. He is into drinking and smoking cigarettes and maybe that’s the reason he does it only once a year and not the whole year round. He is a bad Santa!!! 8. 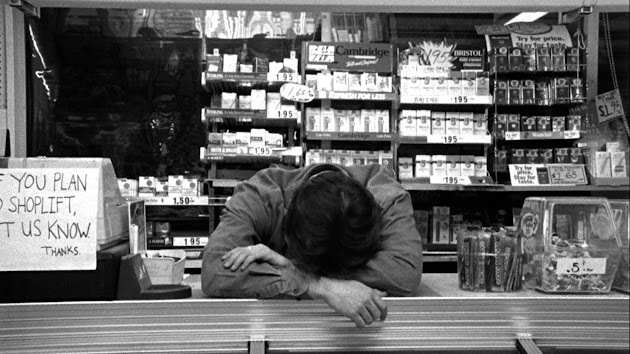 Dante Hicks from ‘Clerks’. He definitely hates his job but don’t know why is very responsible towards his duty. Of course he gets it all messed up because dealing with rude customers is not an easy task at all. 9. Bob Parr from the ‘Incredibles’. He used to a renowned superhero known as Mr. Incredible once but later he was pushed to work and started as an insurance claim specialist where he becomes fed up with his pushy and mean boss. 10. Andrew Largeman from ‘Garden State’. Andrew is an actor who’s luck isn’t working well with the profession he likes and instead ends up to become a server at a Vietnamese restaurant but a miserable one. The customers there gives him a hard time for not being a Vietnamese himself. Finally, he packs up and leaves for his home town. Do you face such issues in your work life? Comment below!! !